BLUETOOTH WIRELESS REMOTE CONTROL: With free shutter control. Fits as a phone remote control an all cell phone remote control. 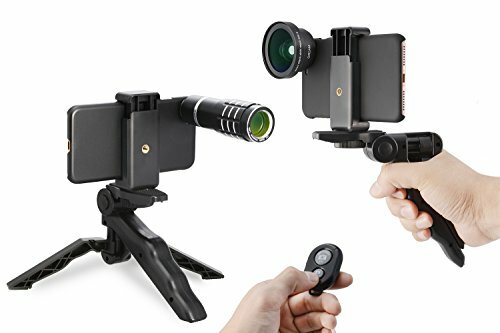 Perfect for taking selfies and steady tripod shots. Simple & easy to set up. Long distance use. 3X HD Telephoto Lens. 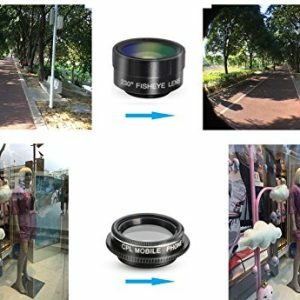 This 3X HD telephoto lens frees you from perpetual pixilation. You can easily take pictures twice as close without moving. 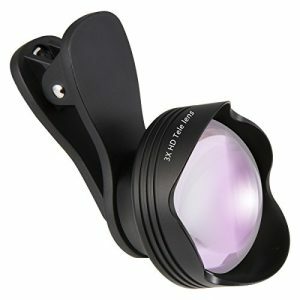 This 3X zoom telephoto lens provides noticeable zoom to the pictures without any distortion or losing definition. The lenses are made of upgraded high-class glass and superior quality aluminum to increase the durability of the product. 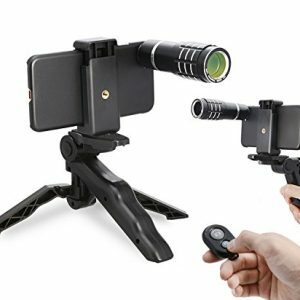 Portable and detachable.You can bring the lens to anywhere and use it to take photos at anytime. 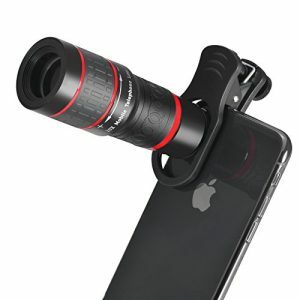 12x Telephoto lens overcomes the shortcoming of the cellphone that can only take photos near-sighted. 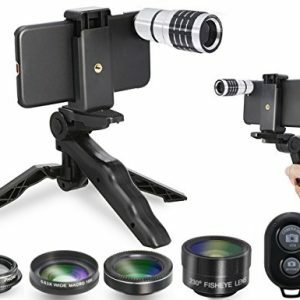 Fully equipped and powerful – It includes the 10X telescope, 230° Fisheye Lens, 0.63X Wide Angle Lens, 15X Micro Lens (it is twisted with the wide angle lens), 17mm CPL, Phone Shell for Lens, Bluetooth remote control, Multifunctional Mini Tripod, Universal Tripod Adapter and so on. 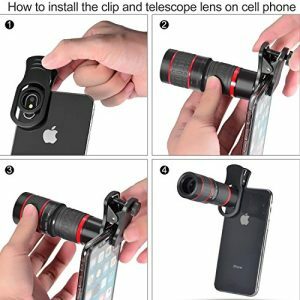 Telescopes can be used directly or installed on mobile phones. 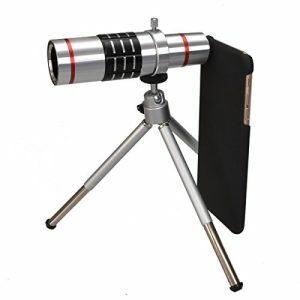 When installed on dual camera phones, it can only act on the main lens of the mobile phone without affecting the telephoto function. When shooting with a mobile phone, it is better to use three foot frames to fix, so that the sway of the lens can be reduced.